5 Most Frequently Practiced Landing Page Mistakes And Resolutions To Them! Home > Blog > Blog > 5 Most Frequently Practiced Landing Page Mistakes And Resolutions To Them! Landing page is one of the most important sales tools however sometime you notice that after putting in your so much effort your landing page is not giving the results that you were expecting. However, you might not have noticed what has gone wrong with your landing page. Here I have a list of mistakes that people do very frequently when it comes to the landing page creation and their resolutions. Visitors saw your ad and clicked on it for further information. Now at this point of time they have certain expectations as to what they want to see on the page that’s going to be displayed after they clicked on the ad. However if your landing page headline is not coherent with what you presented on your PPC ad , they are more likely to get turn away and discard the process that might have brought a conversion for you if things had gone the correct way. 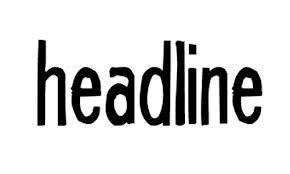 Your headline must reflect the conversation that you had started with your ads. Not all the consumers behave the same way when they come to your landing page. Different visitors have different expectation from your ad and so behave in different way. So if your content strategy is catering to only a particular type of consumer, it is not going to go anywhere and you are missing a lot of sales and conversions. Depending on the different stage of the sales funnel the visitor is in, you need to decide your content strategy. There are so many things that you need to take into account while creating the content of your landing page such as the number of times visitor seen your landing page, are they liking you on facebook or following you on twitter and so on. Different visitors in different stages of sales funnel expect different thing on your landing page, you need to understand this and take actions accordingly. For example if the visitor is at the top of the sales funnel you should talk about your product and how it can resolve their concerns. However if the customer is at the middle of the sales funnel then tell them about what others have to say about your product and services. And if the customers are at the bottom of the sales funnel, present them with a very clear and smart call-to-action. It could be anything from a live chat to a phone number for them to talk to some executive for further assistance or anything of that sort. Hence , if your landing page content and its messaging is not created keeping different types of visitor in mind so as to offer something for everybody, you are missing a lot of perks as will not be able to convert all the leads to sales and move the customer smoothly through the sales funnel. If you will go through your landing page analytics you will find that most of the visitor to your landing page is the first time visitor. 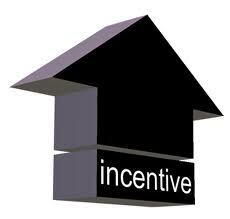 So you must this keep in mind and make sure you are providing an incentive to the first time visitors. There are many ways you can do it for example you can lead them to the from through which they can get their questions answered by experts and so. Instead of saying contact us as it is too common you can say speak to an expert today or something like this. Besides, you can offer discount codes or coupon codes to the first time visitors. Well! Testing is a key mantra to have some of the most successful landing pages and landing pages components. 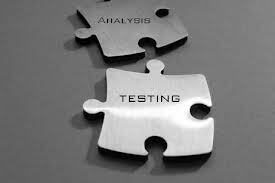 Although testing isn’t that easy and for this you might need the help of a landing page or a conversion expert who can test multiple variables, assured conversions and so on. In this regards there are two versions of landing page that you can have. The first one called the control version is to have your landing page with your best practice tactics and the other one is variation version where in you keep changing different variables on the page for instance in place of image you can use a video or simply change the headline and so on. After some time you will start noticing as to which landing pages are successful and giving results and will be able to make changes in your landing pages accordingly. 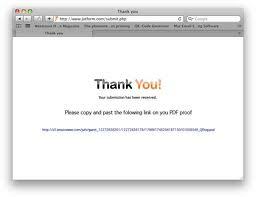 It is one of the biggest mistakes to not use an optimized thank you page after the lead is generated. However, we have a simple remedy for it and that is to acknowledge and inform the visitor about the further actions such as an email within 24 hours or a call in an hour or a product shipped in 4 days and so on. Besides, it’s a good idea to invite your visitors to connect you and follow you on social media outlets. These were some of the most frequently practiced landing page mistakes that need to be ruled out. So from now onwards you should have no excuse for making them happen again. Simply follow what’s aforesaid and make a checklist of the five mistakes and the ways not making it happen. Go through this checklist every time you are going to create a landing page to make sure you are on the right track.